Last week, Donna emailed me a sweet reminder that my promised blog post on character-driven picture books was close to overdue. To my horror, my reminder had fallen off my calendar! Things do fall off calendars you know, even if the calendar is an Apple iCal, maybe especially if it’s an Apple iCal. Donna kindly rearranged things to give me more time, but I felt very ditzy, a little like Lucille Ball. Most folks don’t see me as a Lucille Ball type; only my husband knows the truth. As my new deadline approached, I realized this week is my busiest in a long time. A dark blogging despair came over me. But as I hurry-scurried, I saw a light at the end of the tunnel…because characters are all around us. I didn’t get to my blog on Thursday either. From 9 AM to 8 PM I was in the neighboring county, keeping appointments and doing errands. I stopped by my husband’s retail store to talk to him about a few matters, only for 10 or 15 minutes. What did I find? Characters surrounding me! There was Liz, whose father had been a customer of my husband’s for over 15 years. My husband shared that Liz’s father was a gentleman, in the old sense of the word – a man who gives respect to others and so receives it back. He’d smile a big smile every time anyone entered the room. My husband says you may not remember what people say to you, but you will always remember how they make you feel. Liz’s father made everyone feel special. And most memorable of all was Mr. Kaufman, 96 years old, standing tall with a head of white hair and sharp as a whip. Mr. Kaufman had worked for ABC as an on-air personality and producer for many years. He assisted in getting Nat King Cole his first record deal. And he was a glider pilot in WW II. All these folks came into my life and left again in under 15 minutes! But I might not have heard any of their stories if it wasn’t for my husband. Whenever anyone comes into his store, he asks them about themselves. He wants to know their story. If he didn’t, I wouldn’t have met these fine folks. Indeed, this was 96-year-old Mr. Kaufman’s first visit to my husband’s store. We had a lovely conversation, because my husband started it. Editors praise writers whose characters are relatable to kids. But remember that if your character is interesting, if he/she makes you curious, then you’re touching one of man’s deepest and strongest traits: curiosity and interest about another person. After all, what you really want is for your reader to be curious about your character. 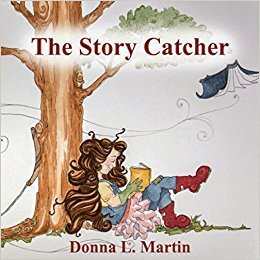 Marsha Diane Arnold is a multi-award winning children’s author. She’s originally from Kansas and so like Dorothy in The Wizard of Oz that you wouldn’t believe it. Her book The Bravest of Us All, which centers around a storm cellar, tells only part of the story. She now lives in the California countryside with her husband, two cats, deer, fox, owls, wild turkeys, and many more fabulous creatures, including the ones in her imagination. The media has called Marsha a “born storyteller.” After writing an award-winning column for 10 years, her first book, the multi-award winning Heart of a Tiger was published in 1995. You can learn about all her picture books, her ebook, her Prancing Dancing Lily app. and more at www.marshadianearnold.com. Her other books include The Bravest of Us All, The Chicken Salad Club, The Pumpkin Runner, and Roar of a Snore.